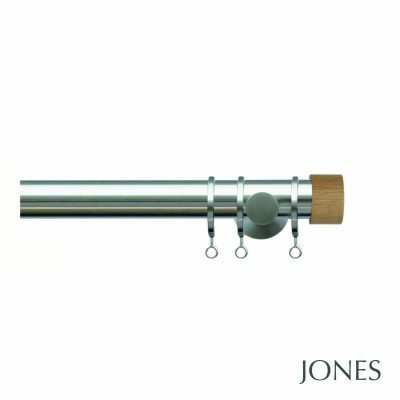 The Jones Lunar range of 28mm metal and oak curtain poles is a popular choice. The added value components are a real step up from the high street / DIY specification of components. 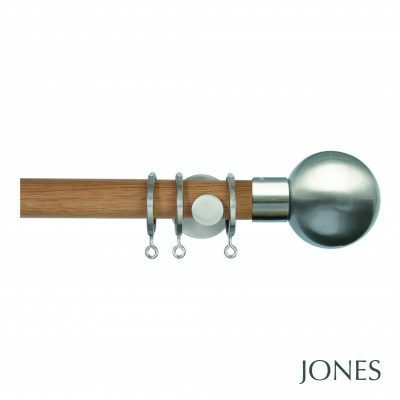 The Jones Lunar curtain poles are available in a matt nickel, chrome or burnished brass and they also have a beautiful oak pole in the range that looks great with the metal finials or with the oak ball or oak end cap. 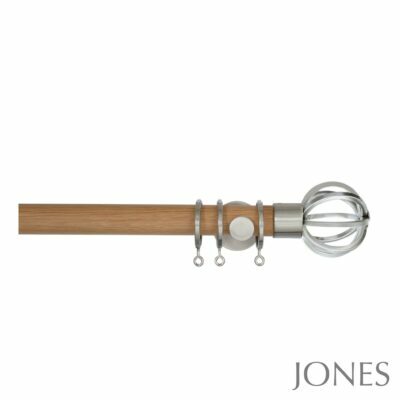 The oak pole works well with oak doors or other oak furnishings. 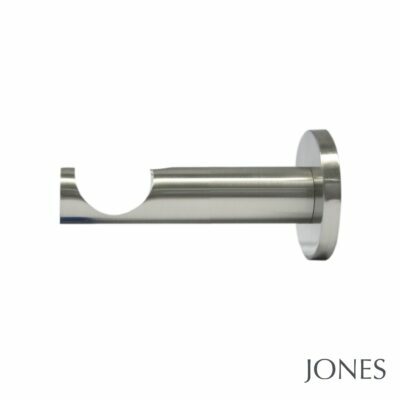 Please view our YouTube video for more information and to see the products, or read our blog on Jones curtain poles. The metal poles are available up to 3m as a single piece. You can join 2 together giving you a total maximum width of 6m! So a perfect solution for extra wide windows or bi-fold doors. If you are purchasing a 6m pole we would recommend you purchase 2 passing brackets to be positioned half way along each of the 3m poles to offer extra support. Please note this will mean the poles at this length are only suitable for curtains with rings, as an eyelet heading won’t be able to passover the brackets. 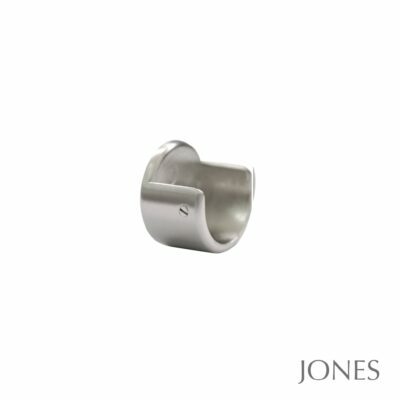 We would also substitute some of your standard rings for passover rings enabling the curtains to meet in the middle. 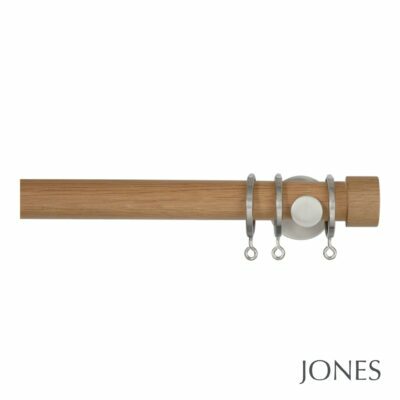 The oak pole is available up to a 210cm width as a single piece. 2 can be joined together with a joining screw giving you a maximum width of 4.2m. 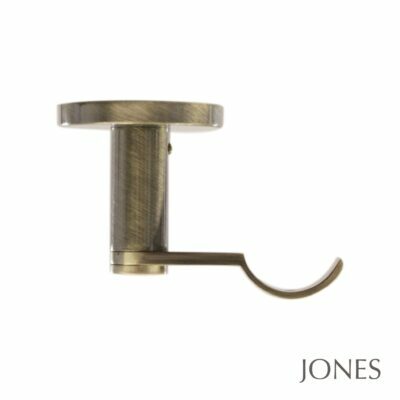 Jones Lunar offer 2 bracket sizes and there is also a ceiling bracket option. The standard wall brackets are available with a 7cm or 11cm projection. You may wish to consider the 11cm option if you have eyelet curtains, as the natural fold of the eyelet can be quite deep so the 11cm bracket takes the curtain that little bit further away from the wall ensuring the curtain doesn’t rub on the wall. You may also wish to go for the 11cm option if you have a wide windowsill and want the curtains to sit in front of the sill. 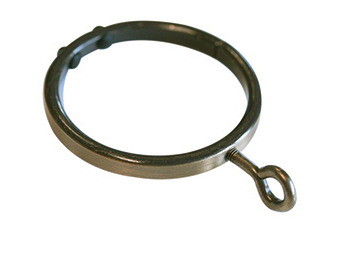 There is also a passover bracket solution and passover rings are available. This can be useful if you have one curtain you wish to draw from one side over to the other and need a centre bracket. 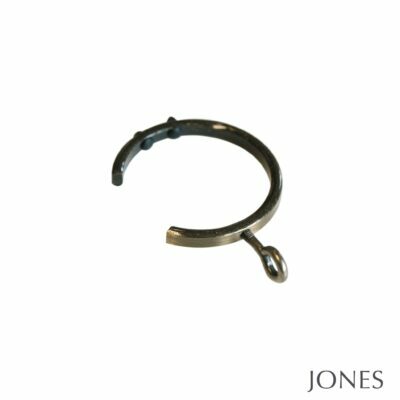 The passover brackets and rings enables this functionality. 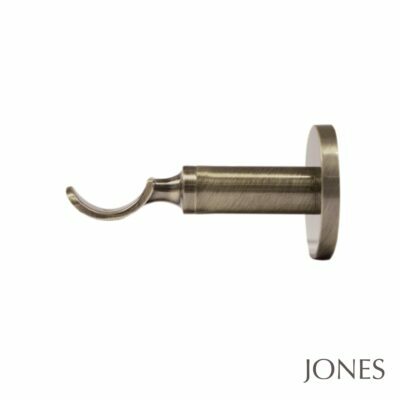 The finial styles in the Jones Lunar range are exceptionally stylish and the range is widely used by interior designers to create a stunning finishing touch to your window. 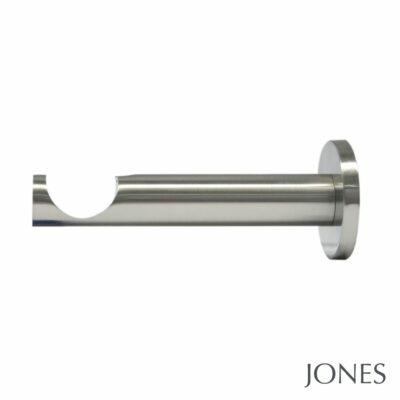 The ball, cage, simple end stops and faceted finial (available on the chrome pole) are all popular choices. There is also a range of holdbacks and draw rods to finish the look. Please view our YouTube video for more information.